Anytime I set up a tent with regular stakes it always ended up a disaster. They would become undone and the tent would start to move and could even blow away. Though with the proper stakes this simply will not happen. So I have searched long and hard and after using a bunch of different beach tent stakes I have found the ones that do the best job. So basically when deciding what were the best stakes for the job, I wanted stakes that stayed in place even in loose sand, I also wanted stakes that are durable and could take a lot of punishment. Below are my favorite 3 options! 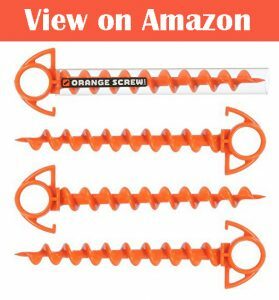 #1 Orange Screw: The Ultimate Ground Anchor – Best Stakes for Sand ? These are not your typical tent stakes – they are screws but they will have the same effect as stakes. I find them to work better in sand because of how they screw into the sand. You don’t hammer them in like most stakes but you screw them in using the top section of them. It is very easy to do by hand and I feel it allows for a more secure hold than most other stakes. This may be because they are quite long at 9.5 inches which really allows them to get deep into the sand where it’s more firm and offers a much more secure hold. If you know where you are planning to set up has a lot of soft sand I would recommend going for these because they will go well into the firm sand where you will get the most secure hold. 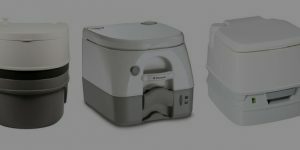 They to can be used in the soil, though you will have to to use the included attachment to allow for more leverage as soil is more dense than sand. These are perfect for sand but I personally wouldn’t use them in the soil for holding a tent as I feel they would be more prone to damage when user heavy pressure. While these are not actually stakes they perform better than most of the tent stakes for sand. These MSR Cylcon stakes get their name from the design of them. They are basically like the combination of my first 2 recommendations. As you can see in the pictures they sort of have a spiral like design. This offers more traction and support than the first option but less than the second option. So they are like a best of both worlds really. I do feel these are the best option for you if you are planning to use them both in the sand and soil alike. Because of their spiral design that offers more friction than the typical style stakes which makes them more useful when using them in sand. It allows them to hold in place better, than without it. They are made from a lightweight aluminium material that it very strong and secure. They are easy to install – I would again recommend a rubber mallet for hammering. At the top of each of the 4 included stakes is a pull which makes the removal of them much easier. These are sand stakes for tents, they are designed primarily with that in mind and they will work best in sand. I have used them in loose sand in windy conditions (30 mph) and the stakes and the tent stayed secure which I was impressed with. I have even read other people’s reviews who say they remained secure in winds of 60-70 mph which really shows how well they are suited for camping at the beach. 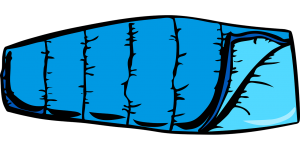 They are 14 inches long which allows them to be stable and secure. They really are some of the best beach tent stakes I have used and they are the ones I choose to use when I go beach camping myself! So my final choice was these Beach N Sand Stakes. 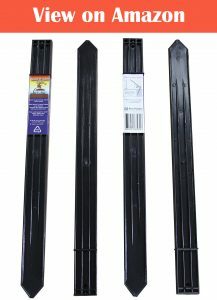 As I am sure you can tell by the name they are designed specifically for use in the sand but they can also be used as regular stakes in the normal ground if needed. There installation is simple – you can install by hand or by using a mallet, preferably a rubber one to keep the lifespan of the stakes as long as possible. This mallet would work well. The main test for these stakes is that will they work well in loose sand or even soil. They are one of the best I have ever used. Not only did they hold my tent in place in strong winds(20-30mph) but they were very easy to install using the mallet I suggested. 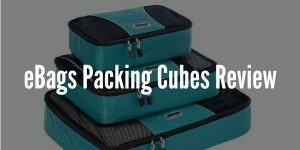 They are made from an ABS plastic which is very durable. I tried bending them to see if they could take the pressure – they were strong and able to bend when under pressure which is great. I also tested them in firm soil and they worked as well as most expensive carbon fiber stakes which was impressive. So you could definitely use them for both situations if you need too. These sand tent stakes are definitely a solid choice. 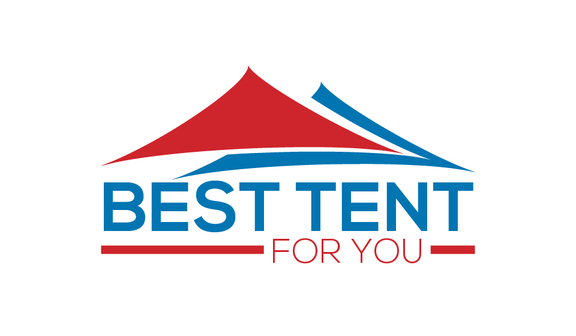 PS – Don’t forget to check out best beach tents article to help you decide on what beach tent is best for you!